Why would I need self storage in Santa Rosa, CA? There are a variety of reasons why you might need self-storage in Santa Rosa, CA. How much is a storage unit in Santa Rosa, CA? The cheapest storage unit in Santa Rosa, CA is $70.00 per month. What size storage units do you have available in Santa Rosa, CA? In Santa Rosa, CA we have sizes that range from 5'x5' to 10'x25' to suit your storage needs. How much is it for a 5'x5' storage unit in Santa Rosa, CA? The cheapest 5'x5' storage unit in Santa Rosa, CA is $70.00 per month. Located in the San Francisco Bay Area, Santa Rosa is considered one of the largest cities in the Redwood Empire and wine country. The city is unique in that there are many natural wildlife areas throughout town, including the network of creeks that run through the city center, so it's not unusual to see deer, wild turkeys or great blue herons exploring corners of town. Over the decades, the growing city of Santa Rosa has earned a reputation as a friendly, welcoming place with moderate weather, a diverse population and many scenic vistas. 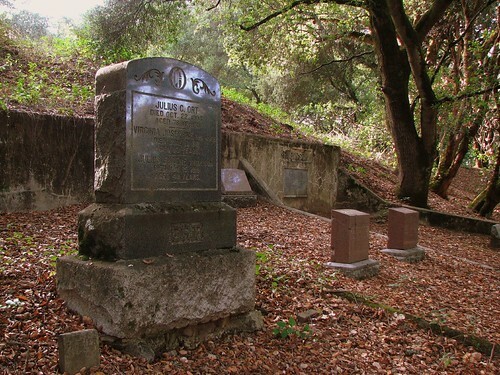 Santa Rosa originally was the home of three separate Native American tribes: the Pomo, Miwok and Wappo, who lived together peacefully until the Spaniards arrived in the 19th century to build missions and take over local industry. Senora Maria Ignacia Lopez de Carrillo owned the first plot of land in Santa Rosa, acreage that was known as the Rancho Cabeza de Santa Rosa. Still, the city didn't see significant growth for many years. The Spaniards continued to build missions throughout the area until the Gold Rush brought more settlers. People began buying land in the area to raise their families and start businesses. They build roads connecting Santa Rosa with other Southern California cities, and these early settlers discovered that Santa Rosa was rich with fertile soil, so many of them started farms and other agricultural businesses. Santa Rosa became a city when three entrepreneurs bought up land and started selling off parcels at $25 each. Only a few hundred people called Santa Rosa home in the late 19th century, but the population exploded after the railroad came to town. The city grew and evolved over the next several decades, blossoming into a vibrant metropolis with plenty to offer. There's plenty to see and do in Santa Rosa, whether your interests lie in history, art, nature or dining. Thanks to its great weather, excellent amenities and thriving arts and culture scene, you'll find it easy to keep busy and entertained. Santa Rosa is often recognized for its natural beauty, with scenic places around every corner. You can explore the Armstrong Redwood Forest, where you'll find some of the oldest and tallest trees in the state. The city is also located at the edge of California's wine country, making it easy to take a day trip to see the vineyards and enjoy some wine. Or you can take advantage of the more than 50 parks in the city and enjoy a day outdoors right in your own neighborhood. The Children's Museum of Sonoma County offers kids a variety of interactive exhibits, focusied on science, nature and the arts. At the Charles M. Schulz Museum, you can learn more about the iconic cartoonist who created Charlie Brown and Snoopy. In addition to these major attractions, Santa Rosa also provides you with plenty of options for dining, shopping and entertainment in nearly every corner of the city. Railroad Square is one of Santa Rosa's historic districts, and it got its start in the 1870s with the arrival of the Northern Pacific Railway. Today, many of the original brick buildings are still standing, earning recognition for surviving the disastrous 1906 earthquake. Originally established as a Utopian colony in the 1870s, Fountain Grove is now home to many of Santa Rosa's wealthiest residents. The Fountaingrove Club is a large, private golf course and country club that hosts many tournaments and special events. Roseland is one of the most diverse communities in all Santa Rosa, largely due to its origins as a major entry point for immigrants. It's also a popular choice for college students, attracting them with its pedestrian-friendly design and convenient access to local schools. Ridgeway is an active area, and many of its residents work together to preserve its historic homes and buildings. It's also known as very family-friendly and hosts community events like block parties, neighborhood garage sales and holiday events. Several different schools districts manage the public schools. Many of the districts observe an open enrollment policy, meaning that your children are not restricted by zoning. If you want your children to attend a different school in the district, you're free to enroll them as long as there's space. There are many private schools in and around Santa Rosa, providing both secular and faith-based options. If you're considering attending college in the city, you have a few different options. The University of San Francisco-Santa Rosa, Empire College and Santa Rosa Junior College are the main campuses within city limits. Utilities: The local energy provider is Pacific Gas & Electric, and the city manages water services. Garbage and Recycling: Curbside collection is provided for trash, recyclables and organic waste. Transportation: A network of bus routes and the SMART light rail provide easy access in Santa Rosa and surrounding areas. Home prices in Santa Rosa have been steadily rising and are well above the national average. However, you have your choice of a range of options from cozy apartments to large family estates, making it possible to find something for nearly any budget. Our lowest priced units in Santa Rosa, CA average $70.50 per month. 87 people have reserved units in Santa Rosa, CA in the past 30 days. There are 2 locations within Santa Rosa, CA's city limits.